The LITs faced a tough start to the summer with three plus days of rain. 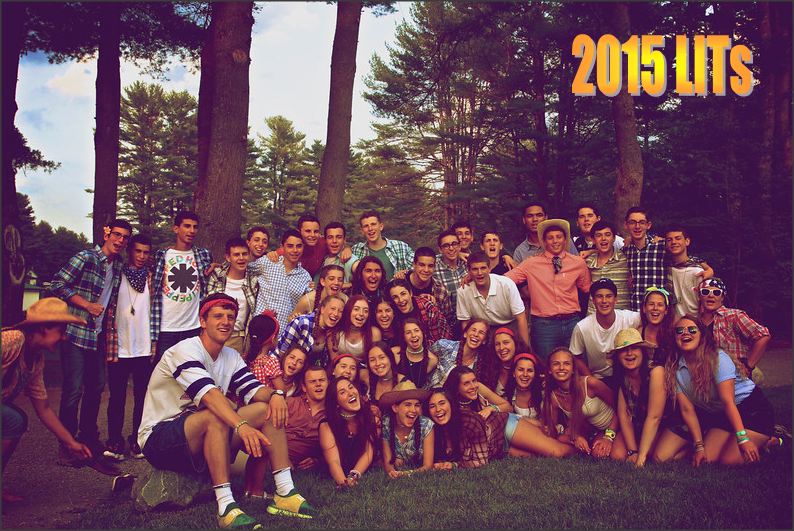 The best quality of the LITs of 2015 is their spirit. They have started camp with a bang and helped to create a noticeable environment of positivity and support. Below are the highlights from a busy week! Technically, the LITs orientation started in early May when we all met to discuss the program in the NYC area. However, this week was the first dive into the actual program. The LITs were challenged during different sessions on leadership, time in the jungle, in groups and participating in an in-service day on communication. The attitudes and participation were fantastic, and we ‘graduated’ from orientation with a powerful Friday Night Services message on “the things we wish we knew then,” where they gave advice and provided anecdotes to younger campers. Way to set a good example! The LITs showed their creative side, dancing at Inter-arts. They worked on their moves for a number of days and inspired the crowd with full participation and a spirit that encourages everyone to take risks and jump on stage. Tribal broke this week! After dancing through three hoedowns, the LITs were treated to a surprise break on the lower baseball field. As the names were called and the jump hugs were completed, the LITs enjoyed Stewart’s ice cream in the field house. That’s a great day! The momentum continued as we took our first day off and suited up for Tribal Tug. The attitudes were fantastic and after the last heat, we celebrated with the traditional sprint into the shallow section of the lake. Luckily, this is just the beginning! Trek trips, Group Sing, group placements and camp committees start this week. We are the LI- the LI the LITs!